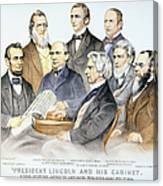 There are no comments for Abraham Lincolns Cabinet. Click here to post the first comment. ABRAHAM LINCOLN'S CABINET. 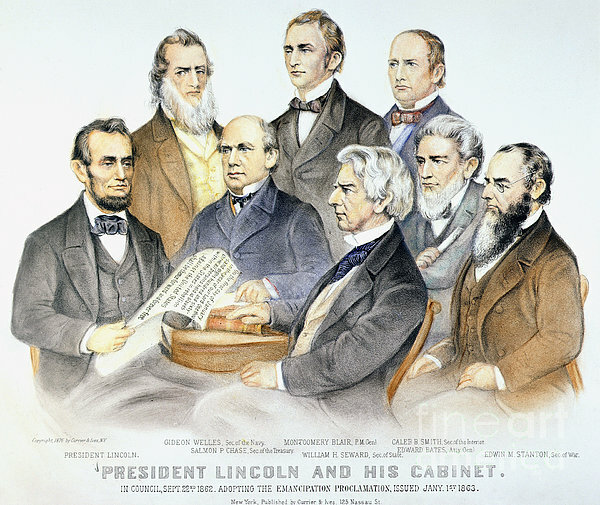 President Lincoln and his cabinet in council on 22 September 1862, adopting the Emancipation Proclamation, issued 1 January 1863. 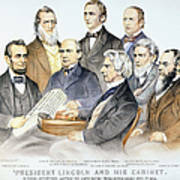 Lithograph by Currier & Ives, 1876.